It's time to tell our story. The year 2020 marks the 150th anniversary of Utah being the first place a woman cast a ballot in the modern nation. It also marks the 100th anniversary of the 19th Amendment, granting women’s suffrage throughout the United States, and the 55th anniversary of the Voting Rights Act, protecting voting rights of women and men of racial minorities. Better Days 2020 believes that by popularizing our history in creative and communal ways, we open doors to having conversations about the future of Utah women. By celebrating these historical events in creative and communal ways, we will draw attention to our storied past, be a positive catalyst for conversation and remembrance, and give energy to Utah’s women today to be more engaged participants in our corporate and political communities. Use art, education and legislation to infuse awareness of our illustrious women’s history into the Utah culture of today. Give Utahans the knowledge and tools to take control of the national narrative about women in Utah. Strengthen Utah’s business, political, and educational communities by supporting and encouraging women’s aspirations. 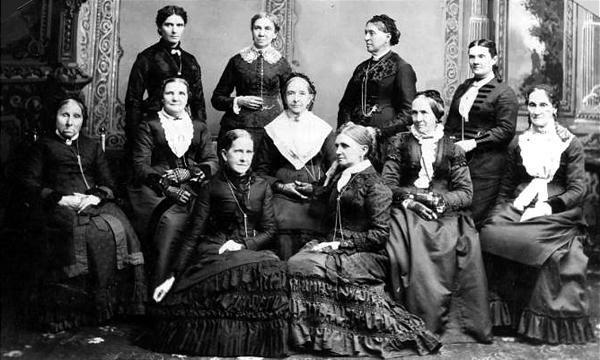 Women of Utah worked alongside national leaders like Susan B. Anthony to advocate for women’s rights nationwide. And Utah women did this with the support of their community, while women’s rights leaders in many other states faced stiff opposition. 2020 is a once in a lifetime opportunity to tell this story. Our educational curriculum site is the most comprehensive destination for Utah women’s history.